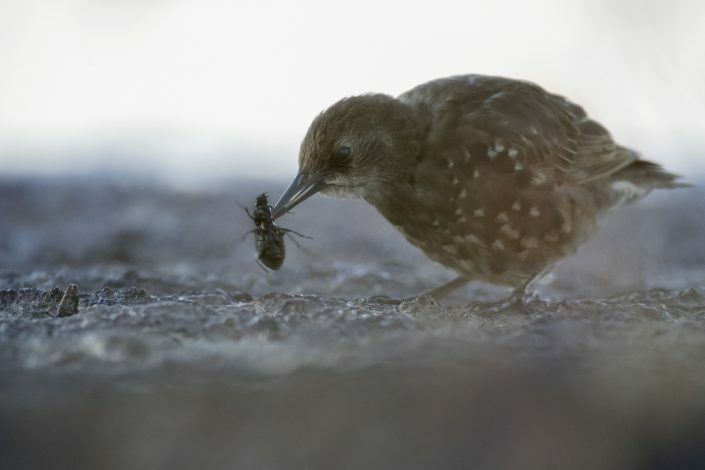 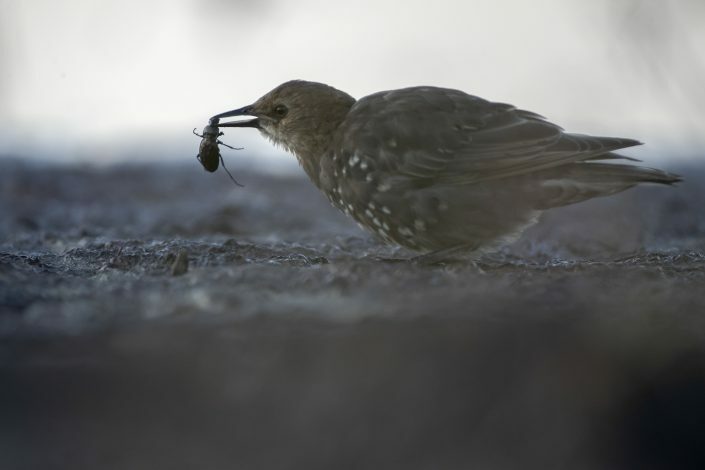 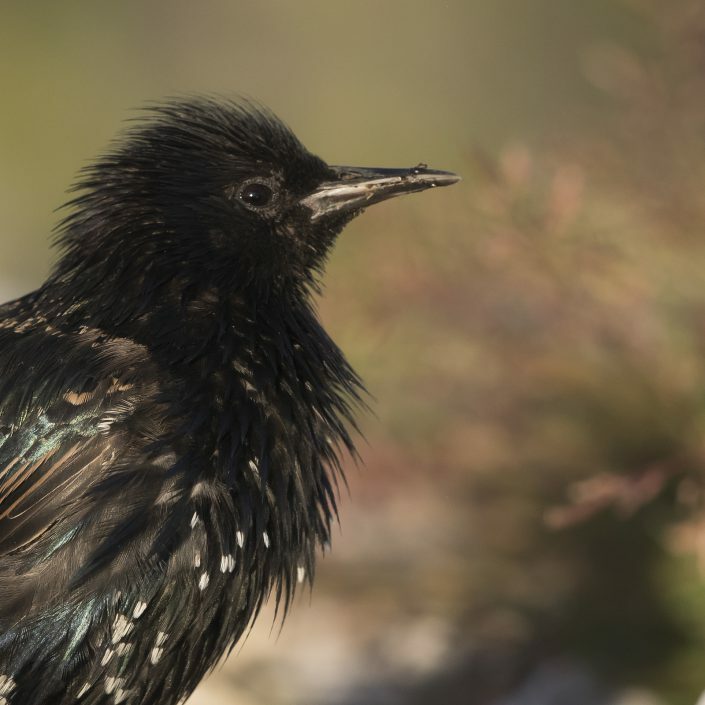 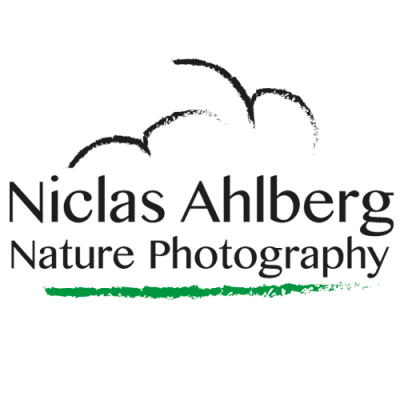 It is also known as the European starling, or in the British Isles just the starling, is a medium-sized passerine bird in the starling family, Sturnidae. 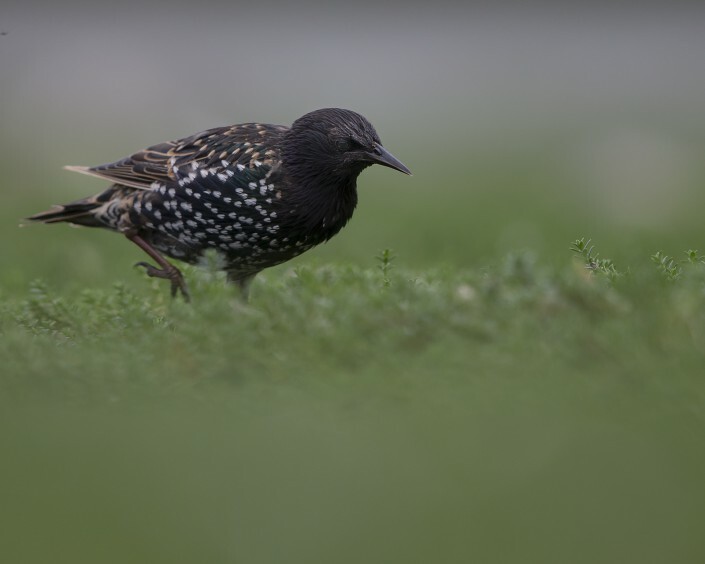 It is about 20 cm (8 in) long and has glossy black plumage, which is speckled with white at some times of year. 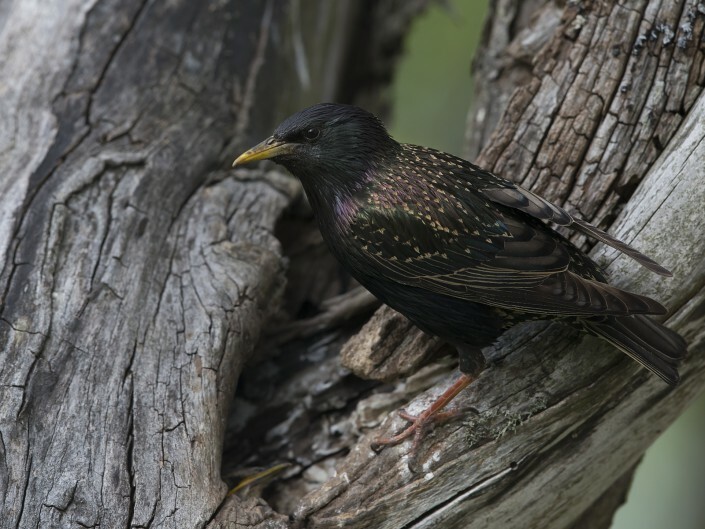 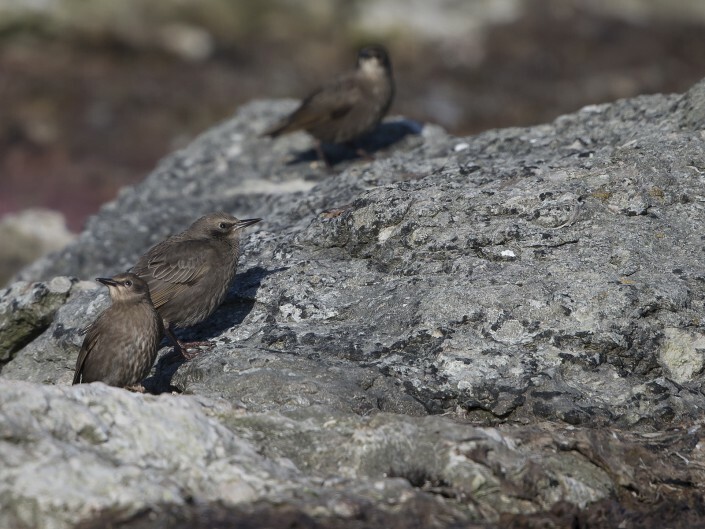 The legs are pink and the bill is black in winter and yellow in summer; young birds have browner plumage than the adults. 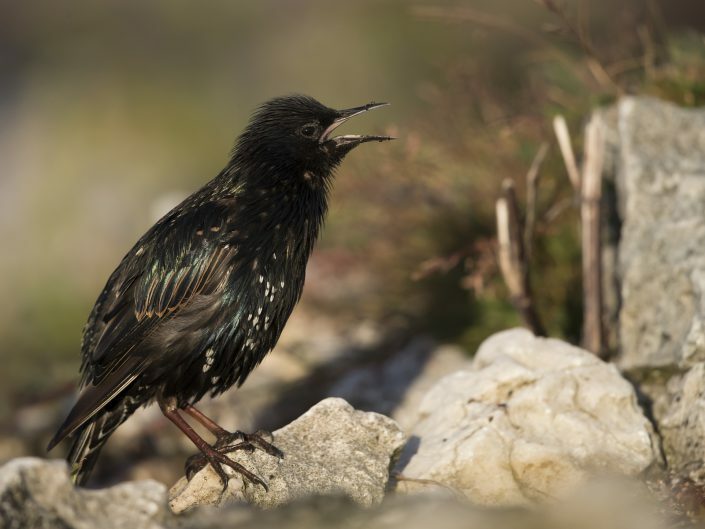 It is a noisy bird, especially in communal roosts and other gregarious situations, with an unmusical but varied song. 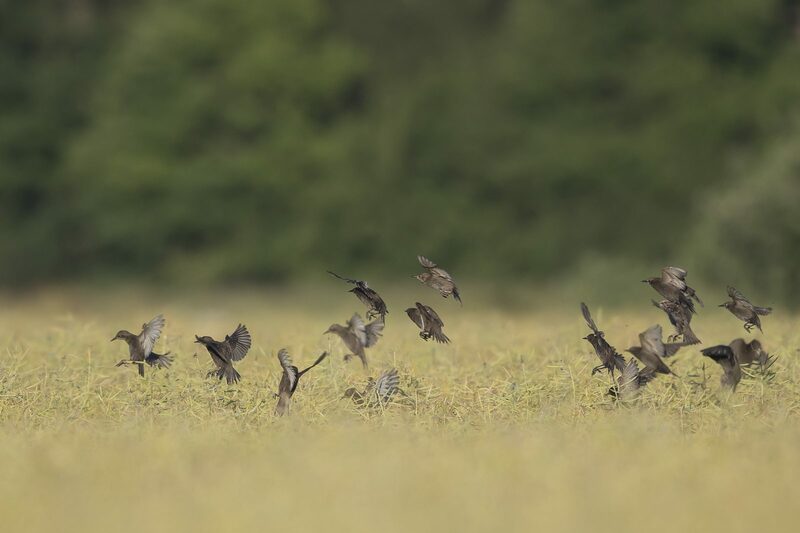 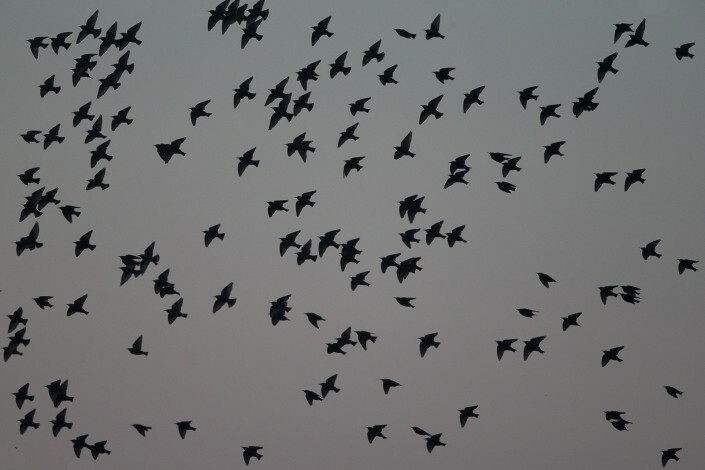 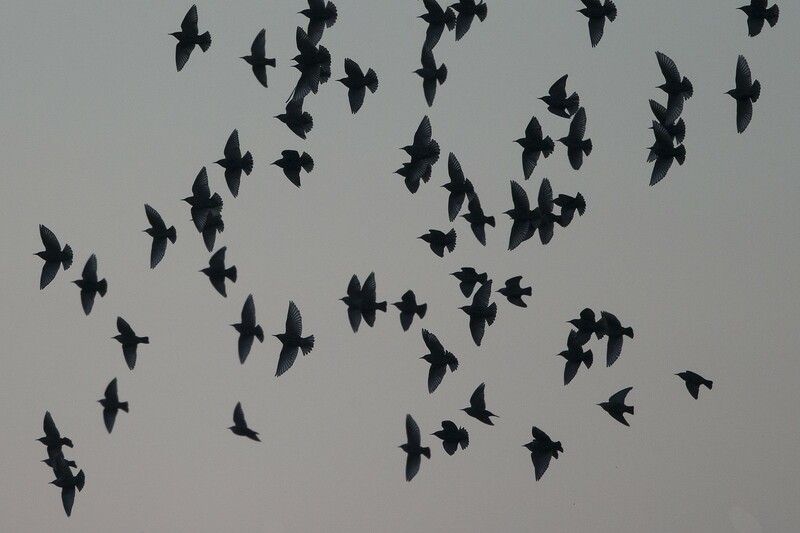 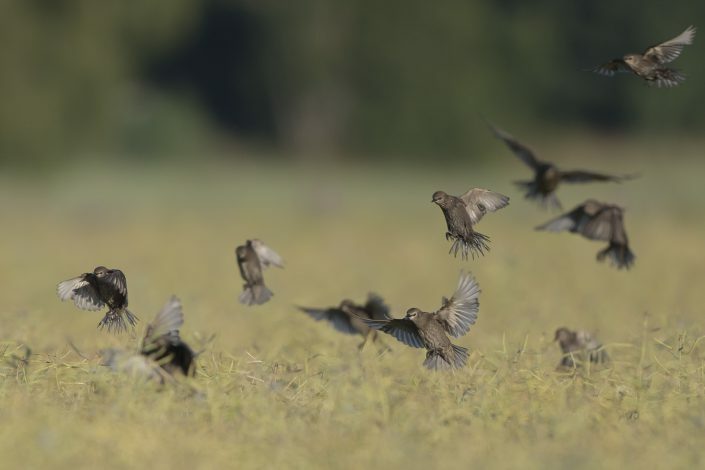 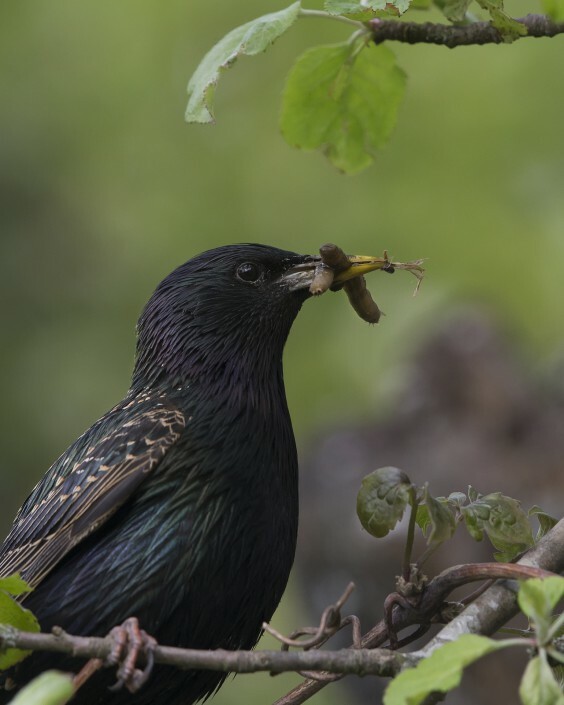 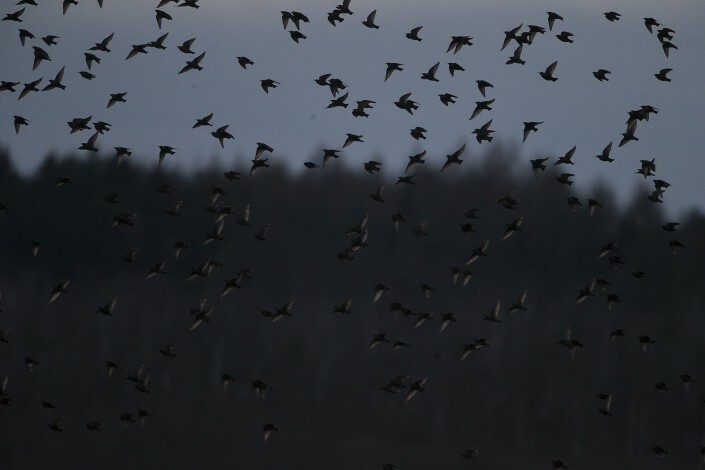 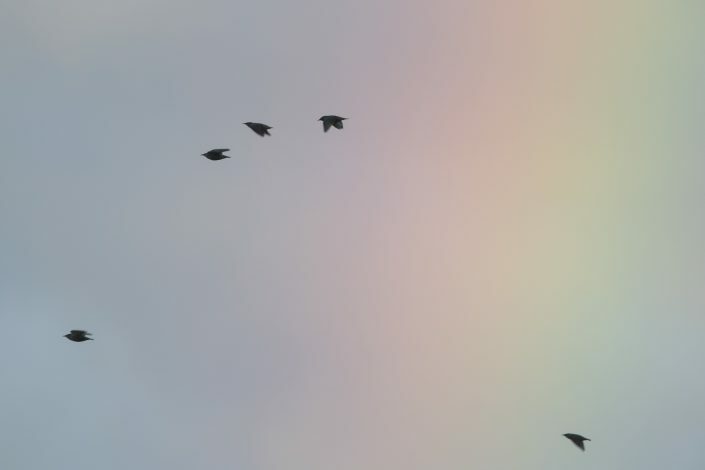 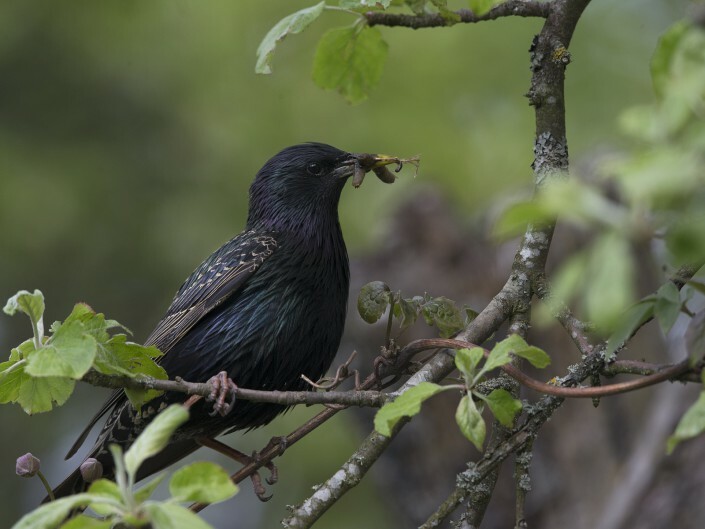 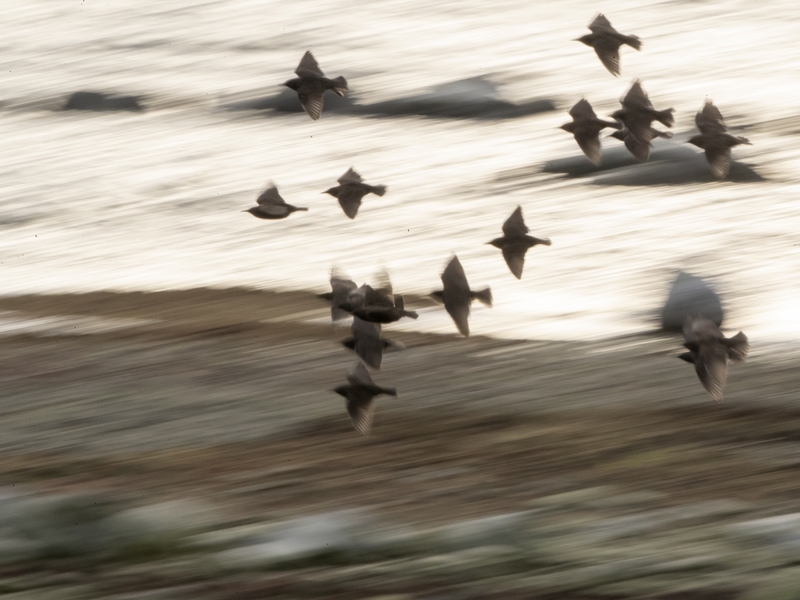 Large flocks typical of this species can be beneficial to agriculture by controlling invertebrate pests; however, starlings can also be pests themselves when they feed on fruit and sprouting crops. 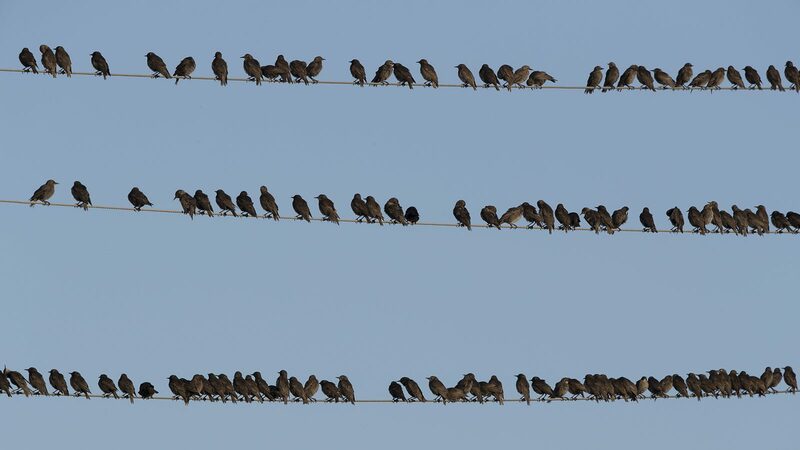 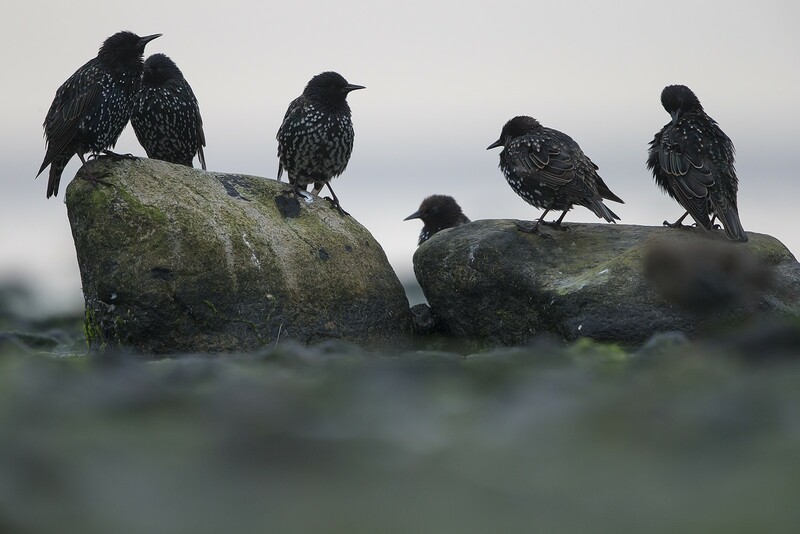 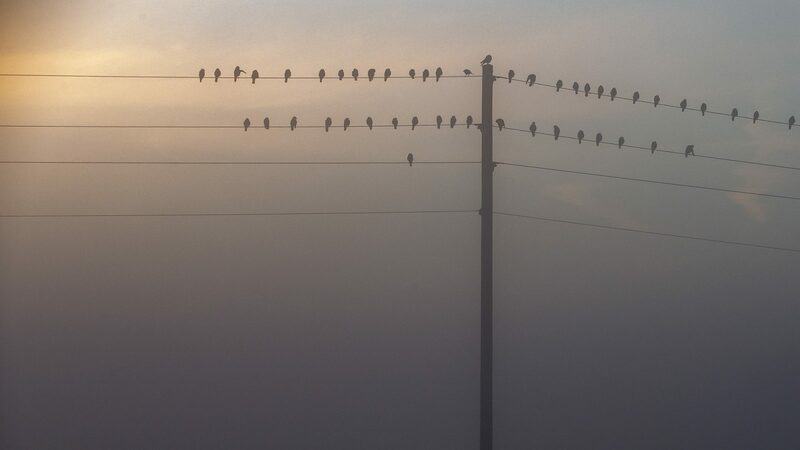 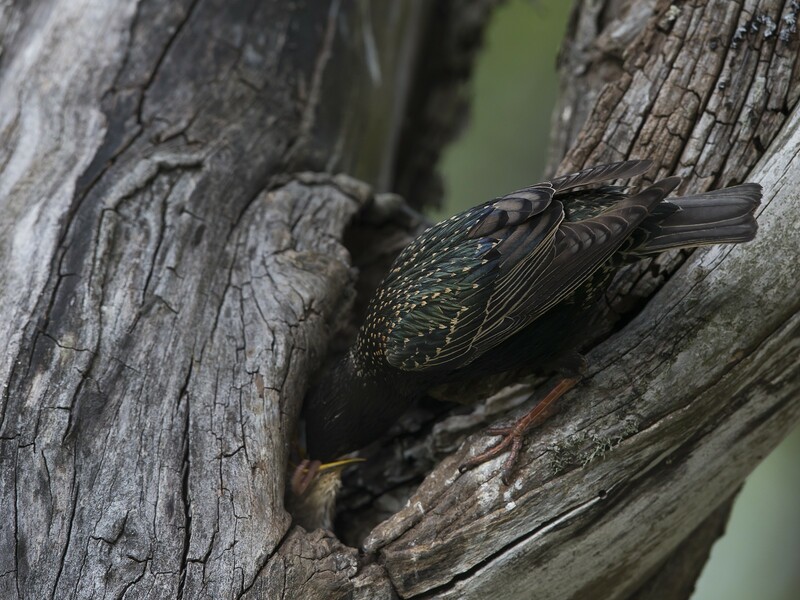 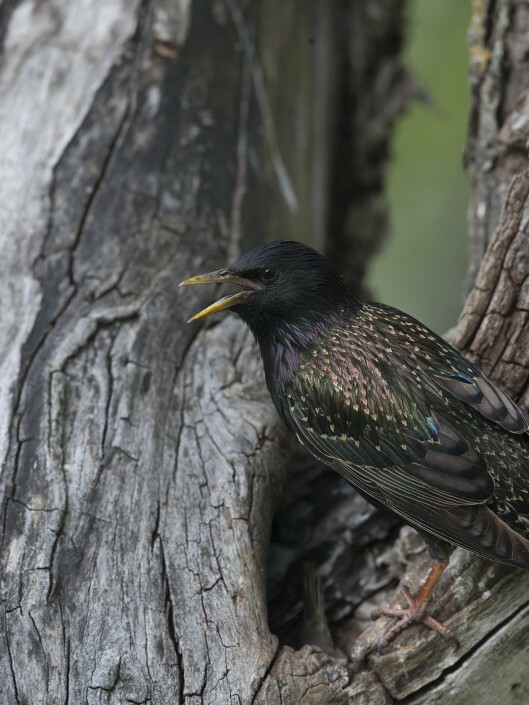 Common starlings may also be a nuisance through the noise and mess caused by their large urban roosts. 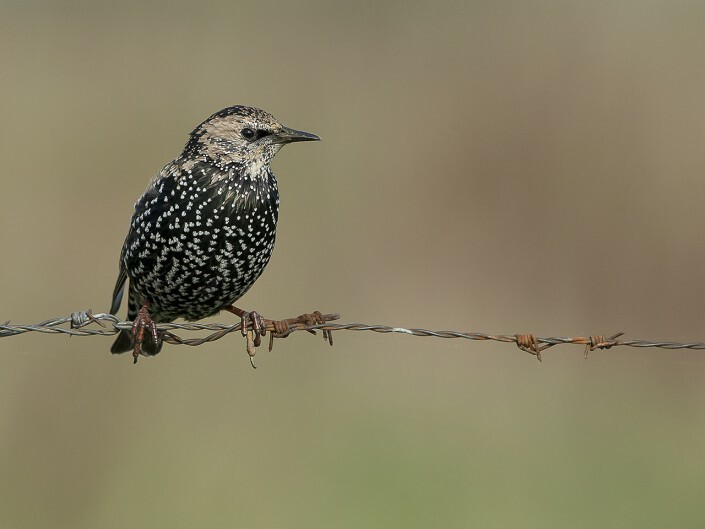 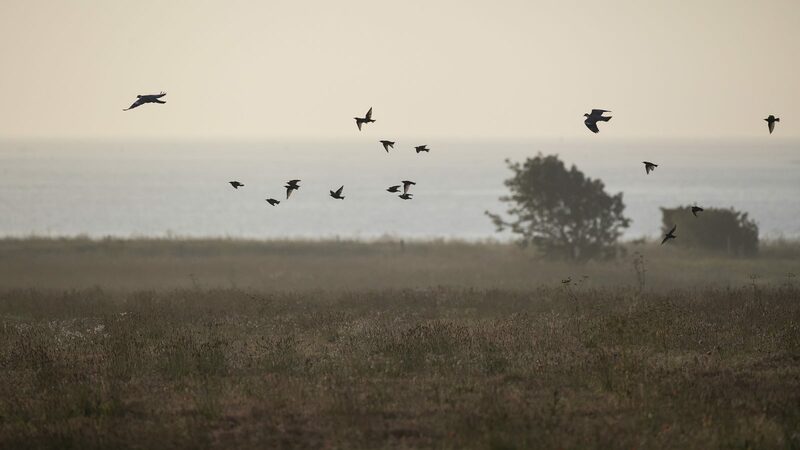 Introduced populations in particular have been subjected to a range of controls, including culling, but these have had limited success except in preventing the colonisation of Western Australia. 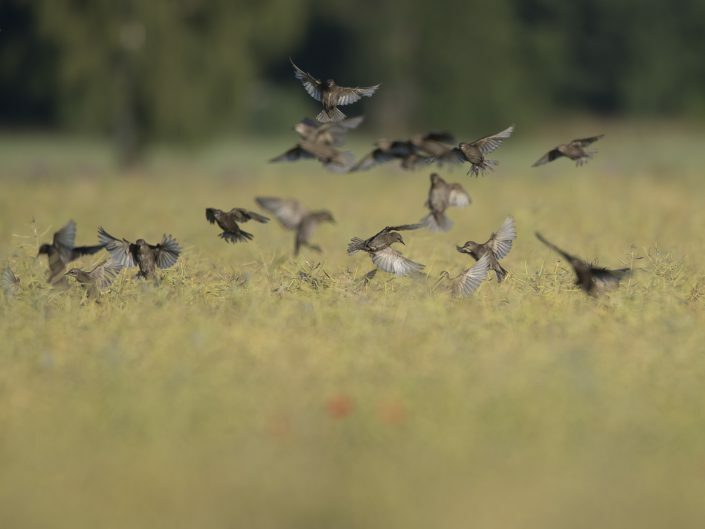 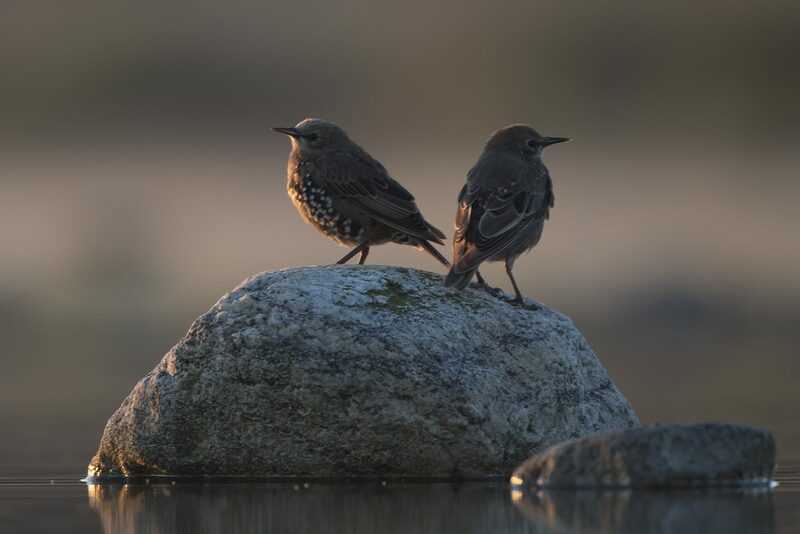 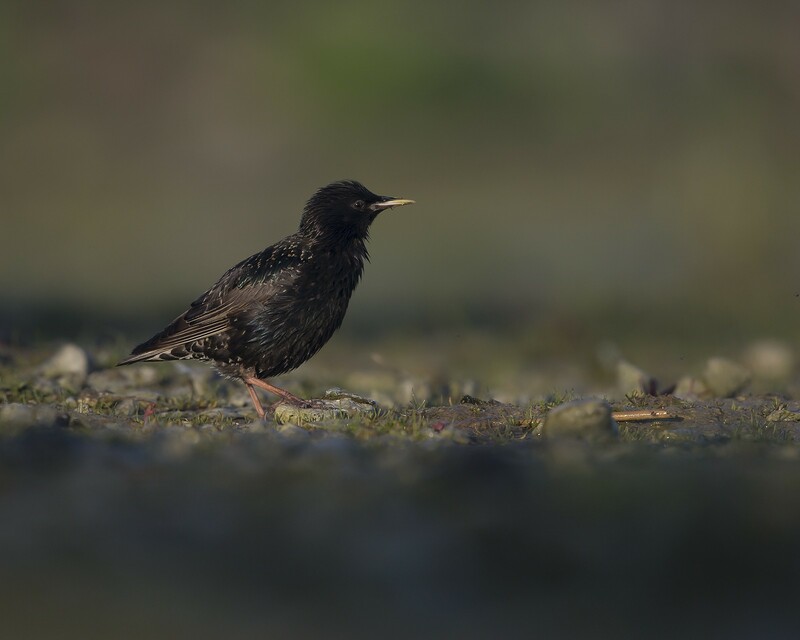 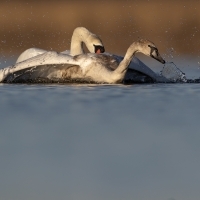 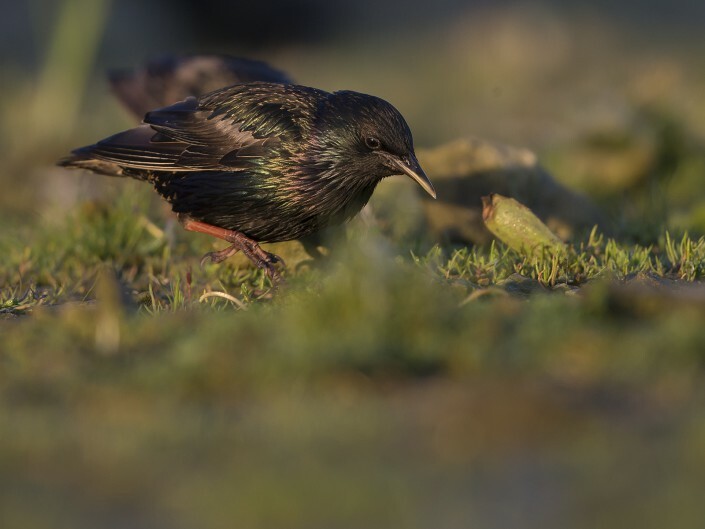 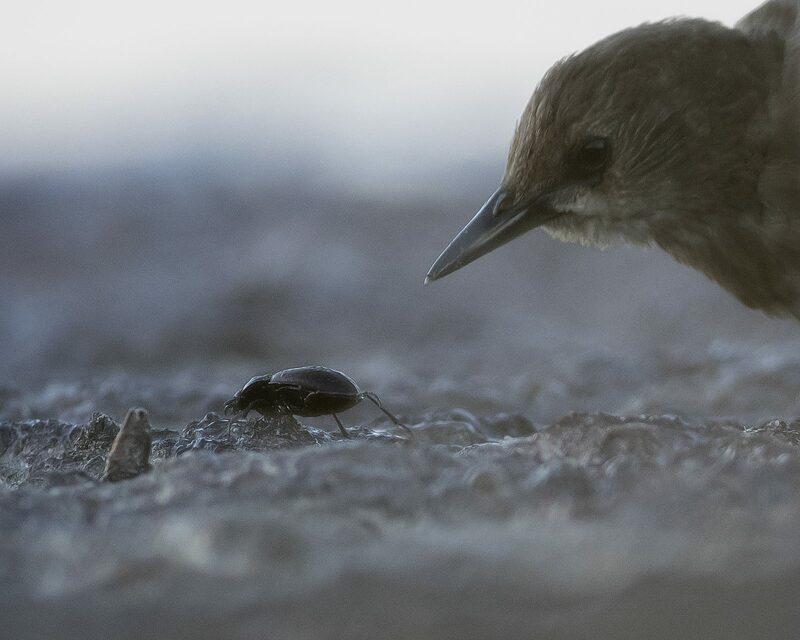 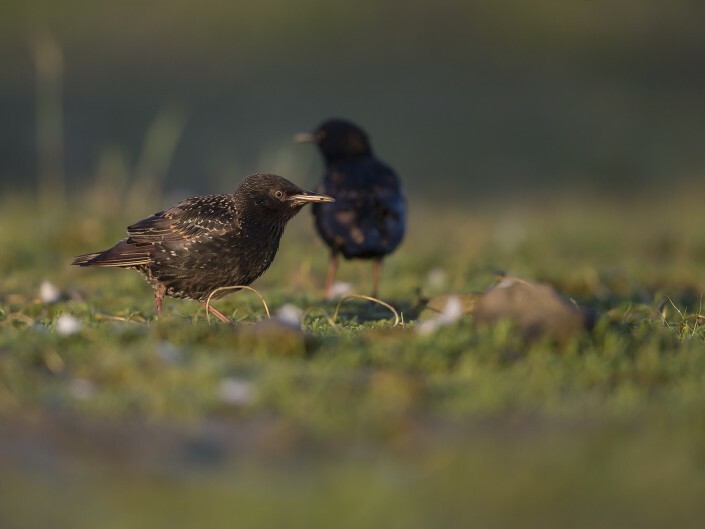 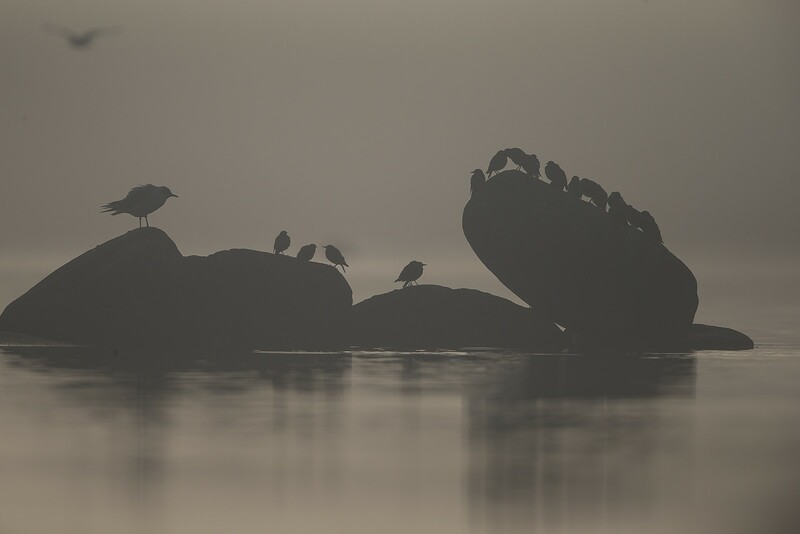 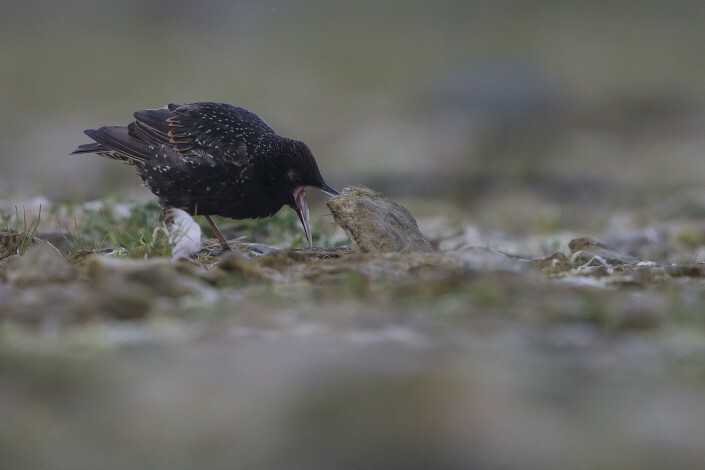 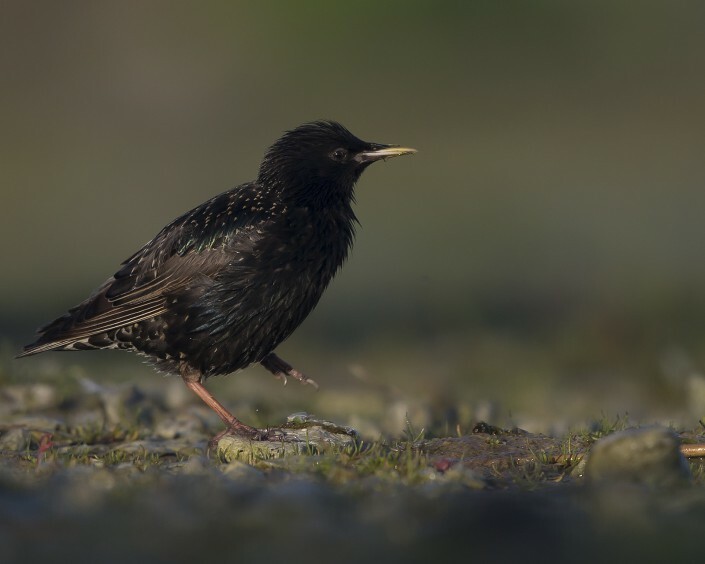 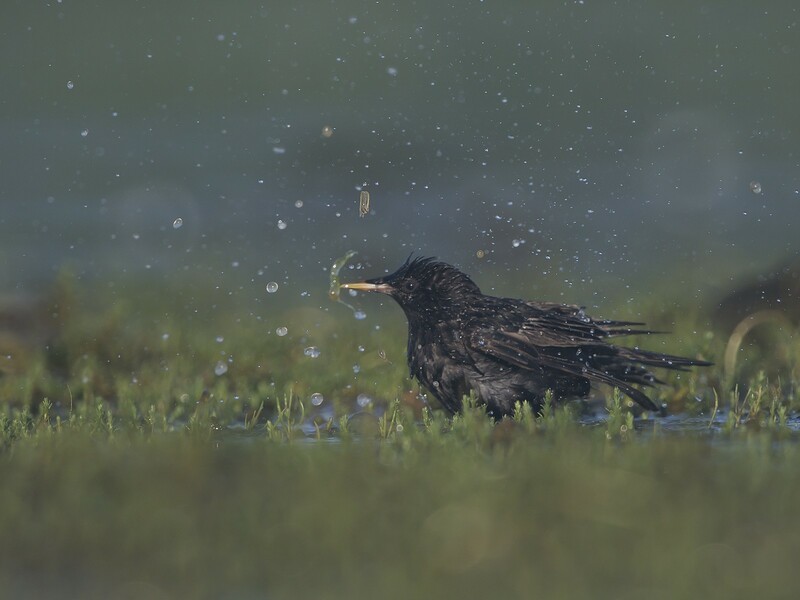 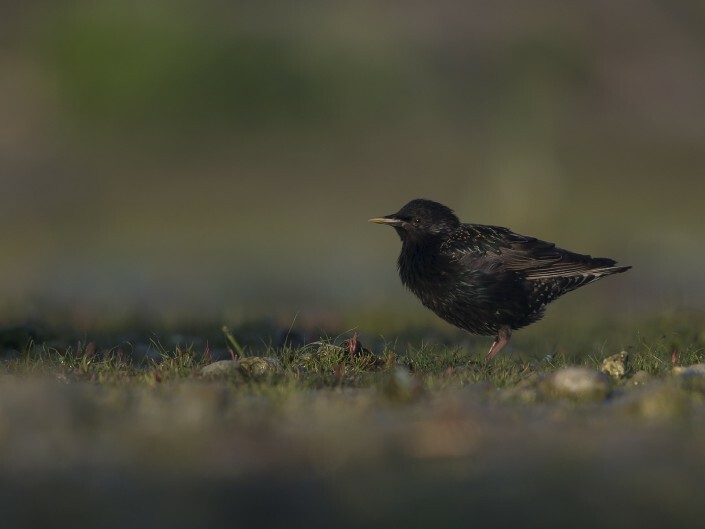 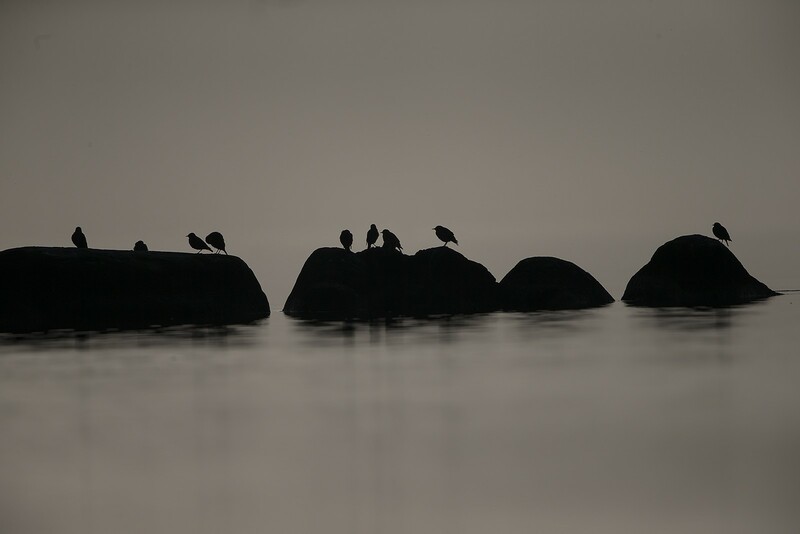 The species has declined in numbers in parts of northern and western Europe since the 1980s due to fewer grassland invertebrates being available as food for growing chicks. 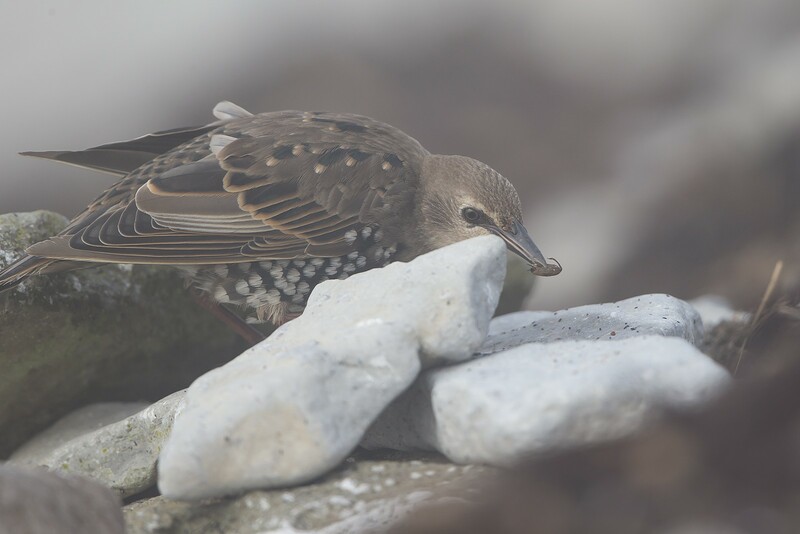 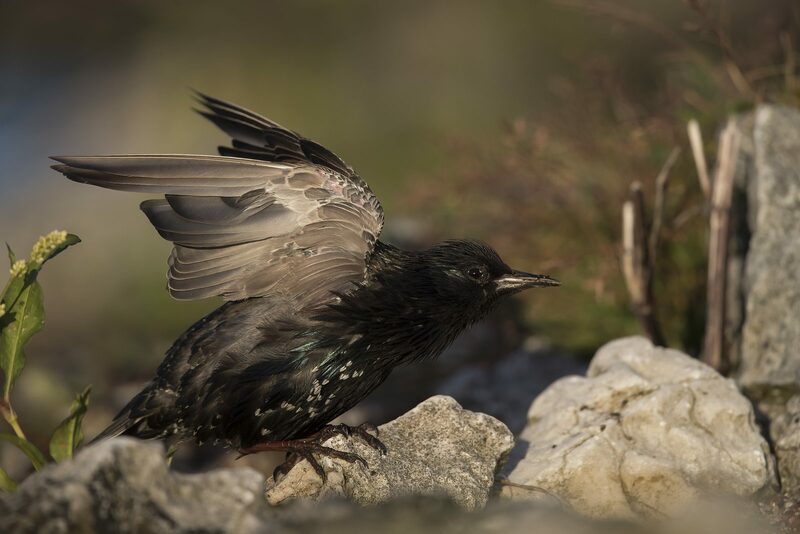 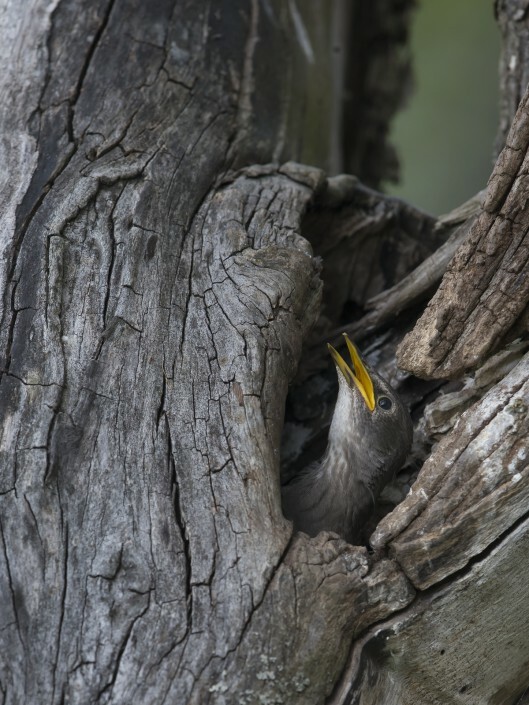 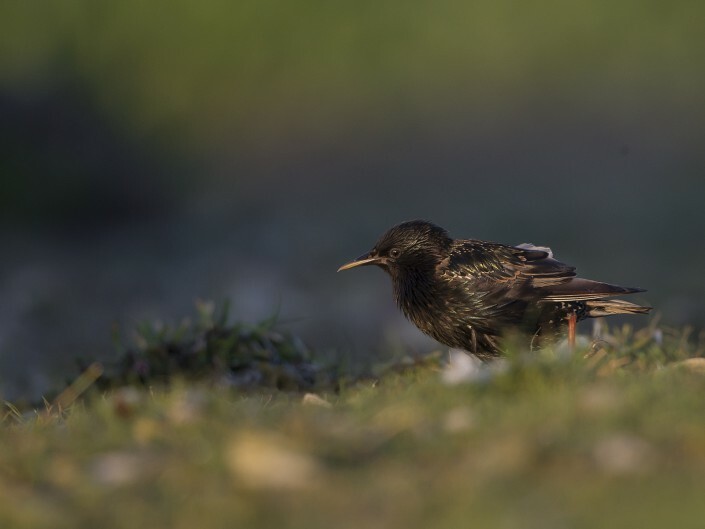 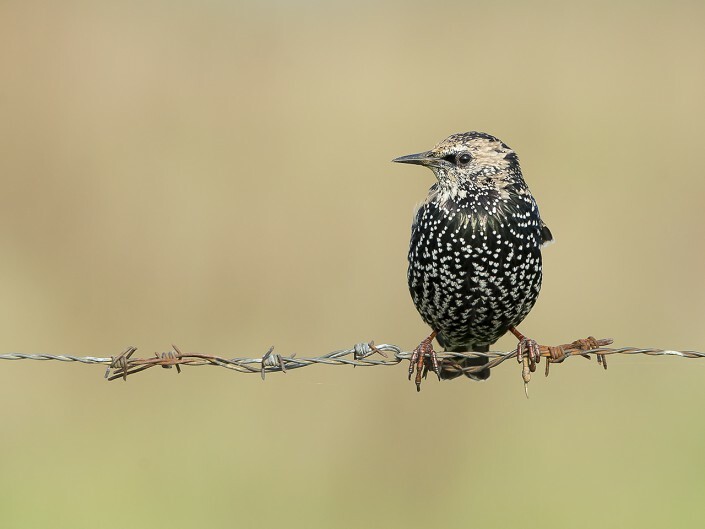 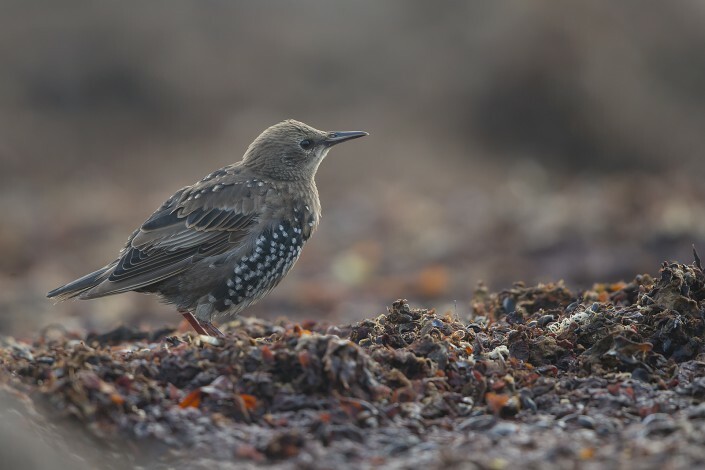 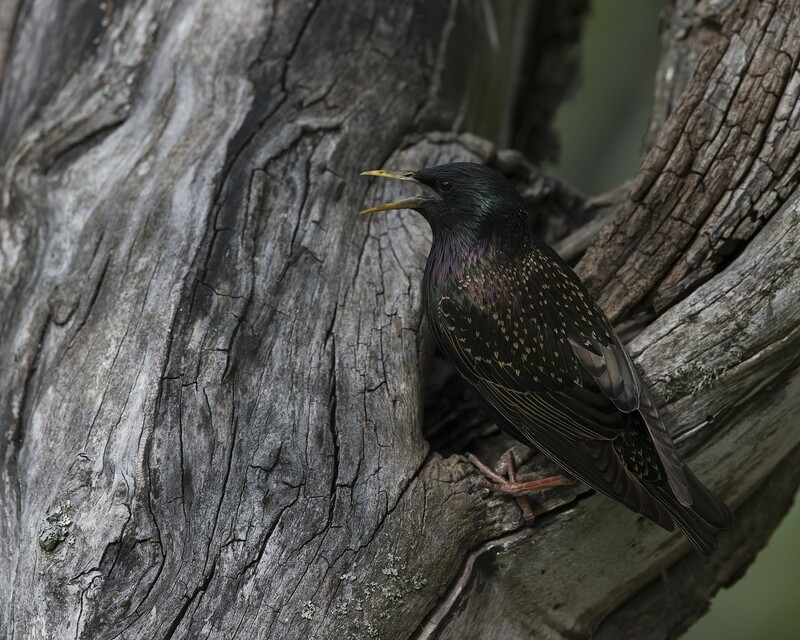 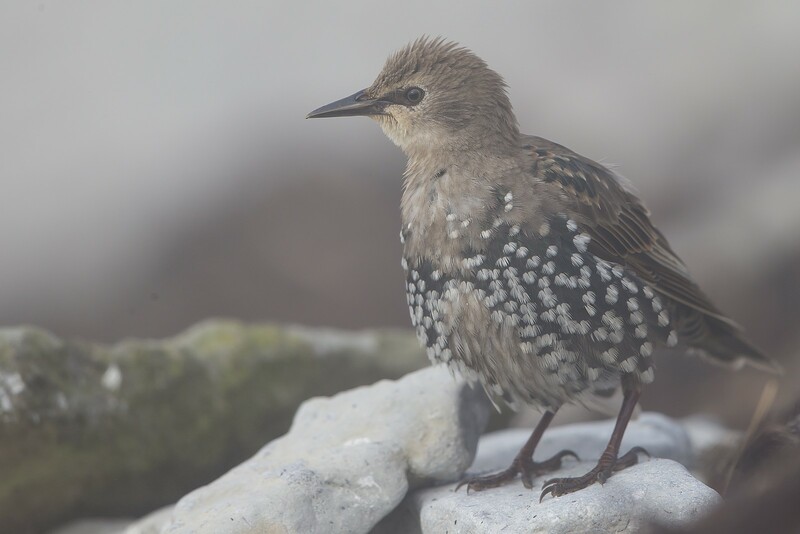 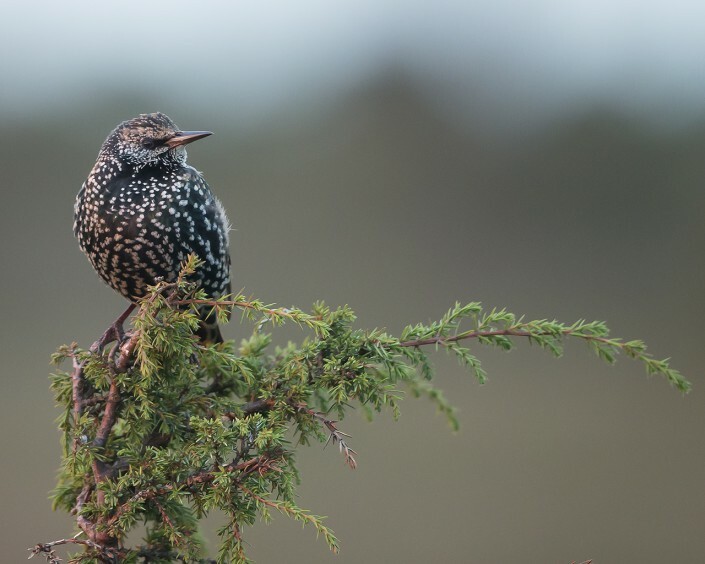 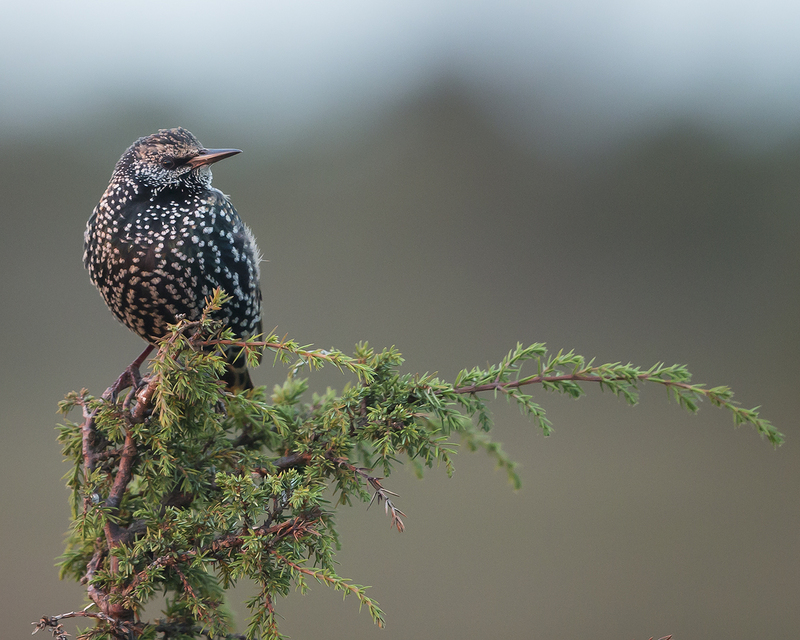 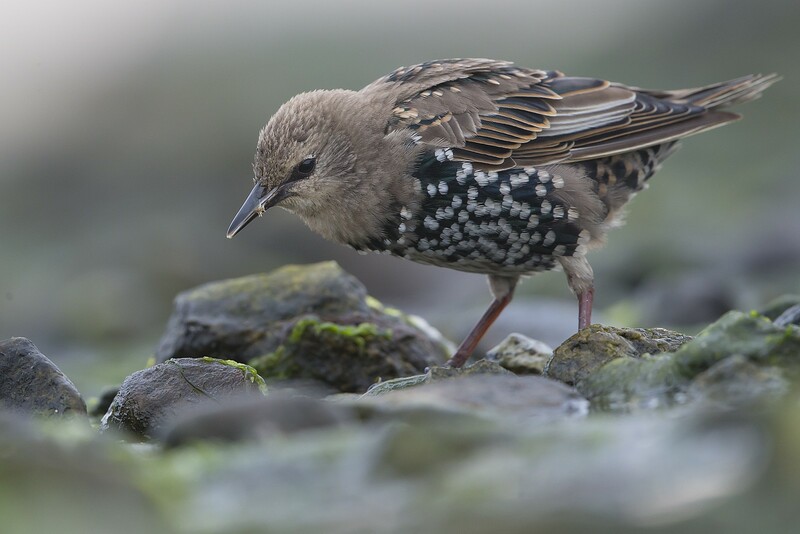 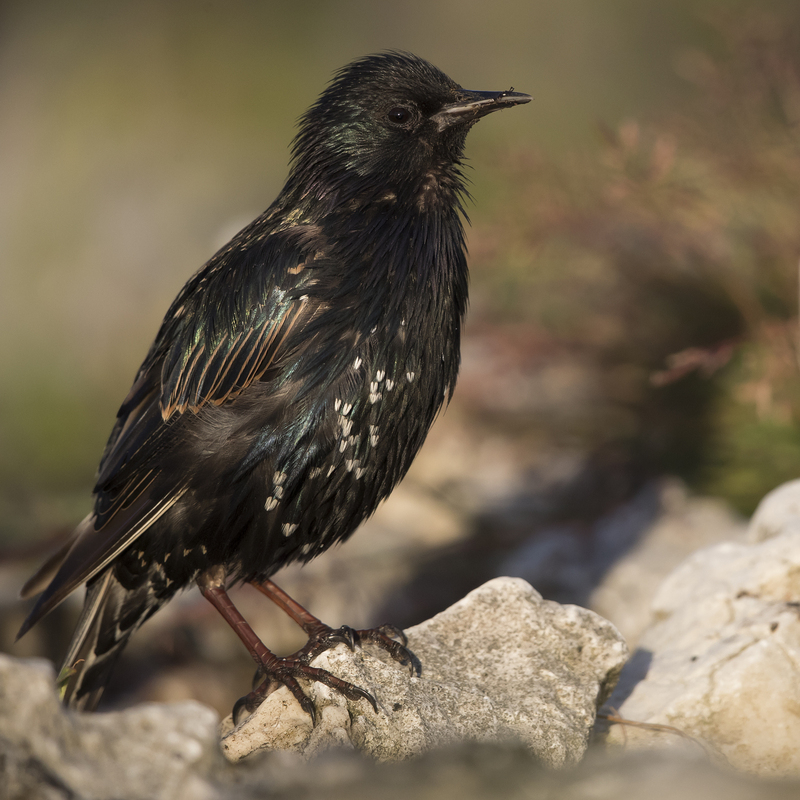 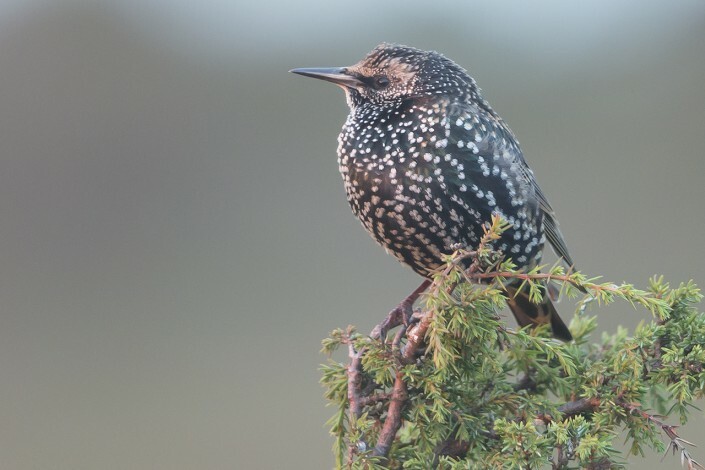 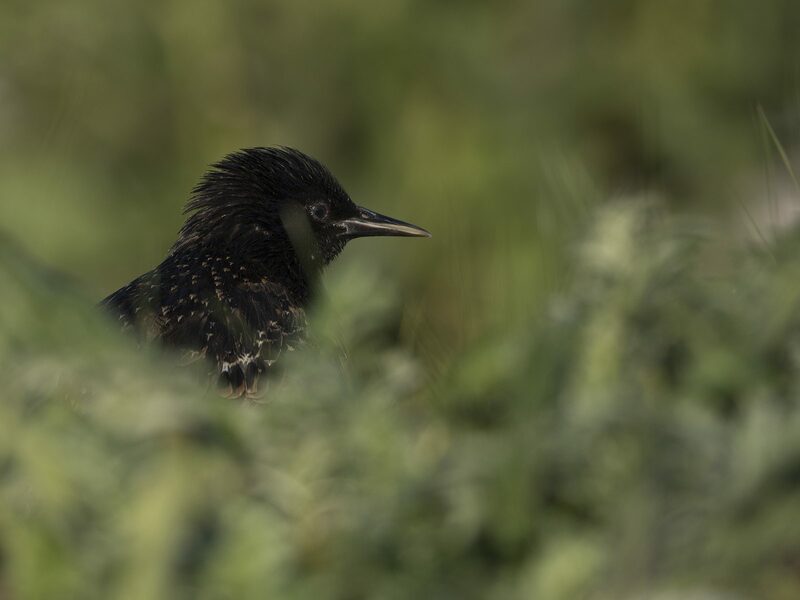 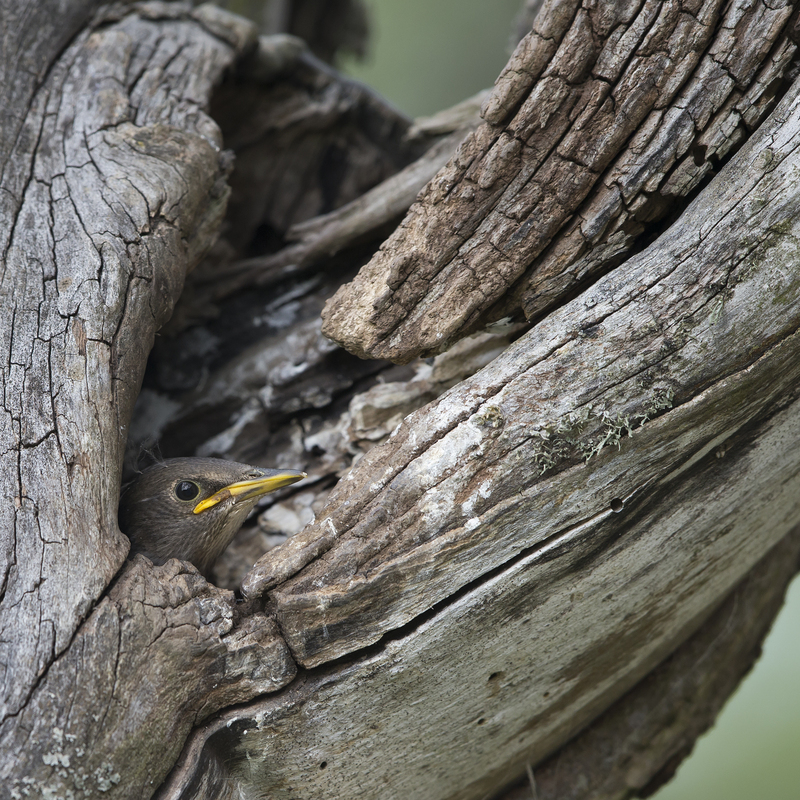 Despite this, its huge global population is not thought to be declining significantly, so the common starling is classified as being of least concern by the International Union for Conservation of Nature.